Hi it’s Isabella menako I love this game so much it’s fun it’s awsome I love it 100% you should come out with a 2 that would be awsome. There is not a lot of adds t all so don’t worry. Well I love it the game. I like this game very much. But one thing is the adds. All the time I get a reward and I press back there is a add or two or even three. I like every thing else but the adds . Haha and a mother thing is I glitch and crash and freeze. P.s this game need help. I downloaded this game because I always see it on other games ads. I downloaded and it was a total waste of time and five minutes of my life I can’t get back. I like it but diamond membership is WAY TOO EXPENSIVE!! I really HATE ads. It’s a really good game. And I like it. I would say this game has come a long way from the beginning. Overall it deserves a 5-star rating. This game is so fun, it’s so great when ur in the car and need to pass the time and there are so many fun characters you can get. Like Harley from Batman and things like that. Isn’t this stolen from mr.bullet? Why do people keep stealing game ideas? It’s stupid how u have to write a review like this one. I love this game and I had all the characters on a different device and that broke. Now your just asking for money. This game is really good if you like shooting games. When I first played this game I was like hell is it you who i’m looking for. I like the game but my great grandmother won’t let me play it she said it shows blood but I said it’s fruit punch and she game me a spanking and I said “OW!” After that I moved out. I am 19 and going to college I hope you guys understand my knowledge and hope you make a setting to make it not show blood so I can move back in. on an ad i saw xxxtentacion but when i installed the game he was not there please explain. I had two game of this game but when I went to play again it kept telling me to tap a character and when I did it said available in two day. What ever happened to paying for a game that was it. Now they want you to pay without ads and the you pay for everything you need. It’s the Candy crush type game I think. It would not let me go any further. ,,, Deleted. Shame thought it looked fun! but once again Greed. It’s fun to play but heads up, a good percentage of the things they show in their ads either don’t exist in the game or you have to buy it. It gets boring pretty quick. I used to play this game all the time when it first game out. It was fun and addictive enough. The coins you got when you won matches could be exchanged for small prizes or a life extension if you got beaten. Now, there are “gems” that are the only currency worth gaining anything on the game that are nearly impossible to amass. The Diamond Membership proving structure must have been thought up by an actually insane person with no concept of money at all. I have a HUGE amount of coins collected from playing the game that are essentially worthless now. If the developers are reading this, allow the collected coins, which you’ve now made completely worthless in your game, even though they’re collected through loyal gameplay (which should be rewarded) to be exchanged for gems so players can upgrade characters and they mean something. Maybe 100 coins = one gem. Or some other reasonable radio. Otherwise, the “currency” you’re providing for playing the game is absolutely worthless, you’re bombarding players with CONSTANT ads when the game already has very limited lasting appeal, and people are just gonna delete it from their phones. I know I’m close to it. Your pricing structure is absolutely ridiculous. Get real. I 100% agree with the comment below this one, I never get good things from chests, I never get any gems, and you really do need to make a conversion of coins to gems like the guy said below like 1000 coins = 5 gems or 100 coins = 1 gem, something like that. I keep on getting this game to check if you’ve made it better but that’s the case, you guys put up way to many ads, why should I watch an ad for a chest that I earned? It makes no sense. The games idea I great no doubt but seriously guys, your game is getting worse and worse with every update, like war robots, I loved it, it was about skill and not money, but now you cant even get a good robot or weapon without paying around $200, it’s insane, that’s what you’re doing right now, the diamond membership is like $7.99 a month right? Who would waste money an a noble game? Just stop putting ads for everything and put Ads on bonus item like, “watch 10 ads to get this character” or, you can put bonus chests in the lobby and people can watch like 3 ads to get a free chest but first make the chests good, when people read this they’re gonna be like “ this dude is just a hater” or something, I love this game I really do but you better fix this game before it goes downhill and nobody plays it. I understand the concept of the game. It is good because it teaches you about angles(sorta). Though, this is a good game, it is one of those games children will hide from their parents. It has a lot of morbid content. I am sure no parent would allow their child to play this game if they knew the object/goal was to kill other players. I know that is why this game is for ages 12 and older, but nobody is going to listen to that policy. I know about this game because my older sister downloaded it. Yes, I am a child. I am 11 years old. According to the policy, I could play the game in a year. Yet again, nobody actually reads the policy or pays any attention to the “12+” imprinted on the page for the app in the App Store. Back to the point, I would like if the creator or producer of the game would make it less morbid. That is why my sister deleted. Her friends did too. When my parents saw what game she was playing they demanded her to delete it. I don’t think people should encourage children and teens (and possibly young adults) to watch and try to kill an animated character. For, that could encourage bad behaviors. That is all I have to say. Otherwise, the game is okay. I am obsessed with this! Though the ads are not to bad..
You know I’m kind of mad at this game and that’s because every single time you want to get out of something there’s an add! Every time if you go settings and hit the back button when your done an add! Adds are everywhere so if you don’t like them don’t play this game. Next is how much money you have to spend on this Diamond Membership the price for it is insane I mean literally the people who created the price for it is crazy. 7.99 a WEEK not month WEEK. Are you kidding me first you bombard with adds and then you come out with and “Oh let’s make super expensive for the super rich to buy we’ll make a killing in profit!” No you won’t it’s really stupid how much it costs to buy it I would get it if you changed to monthly but I mean maybe reduce it to like 0.99 a week because it’s a game. I know I don’t have to get it but you keep certain things blocked if you don’t. I would rate this game one star but I’m not because it’s super fun and a laugh to play. One more thing the chests that you collect at the end of something make it to where you can actually get characters and not coins all the time. Hope you read this and take it into consideration. This game is great, BUT there are way too many adds. All of the good characters that give a huge advantage you need their dimond membership which is like $100 a year or $20 a mouth. Its fun but the adds and their stupid dimond membership took my old reveiw of 5 stars. I used to have the Loki and Octopus skin. I delete to save room and my phone said it saved my progress but it didnt so I see how to get my old skins back and I need their dimond member ship. DO NOT GET. If the developers are seeing this, make changes how about $5 a month or $50 a year. I know you don't get as much money per person but MUCH more people will get the member ship so if you want money make CHANGES TO YOUR GAME THAT USED TO BE FUN! I've read past reviews and have seen that you actually had the audacity to raise the prices after the endless complaints about how bad your prices are. I actually crunched numbers and saw that you guys are going down hill financially. You guys are actually losing business with your prices. I know you wont want to and it wont make sence when your greedy but dropping the prices brings more buissness and more money to you guys and with that better reviews so lower the prices or your game you worked hard on will suffer. I honestly enjoy this game. I play it from time to time when I’m bored. I don’t have many complaints about it and I don’t have much praise for it either. I don’t like that there are not too many characters that you can select from without paying. I understand that they want to make their money, but I still want more characters to choose from. Another complaint is that there are too many adds in it. I can only play a few rounds before an add shows up. My last complaint is that there is too much graphics of blood and guts. I really don’t mind it, but I’m kind of worried about little kids playing this game and thinking that it is okay to do this violence. Before you start wondering, no I’m not an overly protective parent. I’m just a teen that has some concerns, that’s all. Maybe you should higher the age of being able to download. Nothing too crazy but maybe just a little bit higher. But, let’s move on to the things that I like. I like the different rounds that you can do. I also like the characters and their designs. Thanks for your time, whoever is reading this. So, I discovered this game out of nowhere and when I downloaded it, it was hooked. Large variety of cool characters, loved the ideas of fatalities and brutalities and reward system seemed to be fair enough. But after a week of playing, the game started to either delay, freeze or just crash completely during gameplay. Also, if you didn’t give into the VIP membership which I thought was kind of a rip off, I came to realize that anytime you played someone online who is probably a VIP or has a VIP character, you always went 2nd like 90% of the time which was a big disadvantage depending on the experience of the other player. And another thing is not all characters are upgradable which is a bummer because the upgraded characters have awesome brutalities but that gets old when there are only like 12 characters that are upgradable out of 70. So, this app definitely needs updating and refreshed since it hasn’t been in over 4 months. Still like to play this game but it’s gets old real fast and there is nothing new or different to change it up. First off I’d like to mention the “Roulette” chests you can unlock by watching videos after a match or when ever you do. It’s less like you have a chance of winning a character as, your probably gonna get money or 1 gem. I’ve spun it so many times while playing this and have won one character. The next thing the ads. There is an ad every time you do something. I checked my progress to see my kills, wins and loses, ect. And I have to watch an ad to get the and to exit. You watch ads anytime you do practically anything and they’re terrible ads. There is one where it shows you can buy fake Instagram followers. That’s an actual ad on this game. Then finally the character menu. If you have the money to buy a new character but are saving for another, or have gems to upgrade one but are saving them, the game will fling you all the way to the one they want you to get every time you choose a character until you either finally buy yours or you submit and choose theirs. So overall it’s an okay game but these make me very irritated and make me on the verge of deleting it over and over. So my sis got this game a while ago and I wanted to try it out! And it is not AS scary as I imagined. I give it a five star because it is awesome and there’s not that many ads so it’s pretty good. And I love the game because even though I am eight years old I’m great at it. I love playing this and last night I played this game and i rocked it! And I suggest other people who are reading this to get this game because it is awesome and I love every character in this game and there’s not that many ads so hopefully that you won’t get as many ads as other people that because some people are writing a review because of too many ads and I don’t think that’s a problem. And my dad got this game and I know why he got it because he is obsessed with guns and stuff so I think this is a good game for my dad and a good game for other people that like guns and shooting people like me. I’m a girl and I’m pretty weird. And I like how this game does not give me too many things to buy. Okay first off this game is amazing! It really does deserve five stars but I gave it three because I thought something was kinda not right. Now I had started the game about a year ago and I had almost all the characters which means I was pretty far. Well one day I had to delete the game because I had just got a new iPhone so I kinda forgot about the game for 3 months. Well just four days ago I got the game again because I saw an ad on it. When I downloaded the game I was ready to see the new stuff that was added and so I could try all the characters I had but when I checked my cloud saves, my data was gone! But this isn’t the reason I am upset, I am upset on the fact that most of the characters I had now require me to pay for them! I had got the schoolmates when they were free but now since my saves were deleted I have to pay $5.00 to get them back!?! That shouldn’t be a thing! I am just writing this review to warn everyone that you shouldn’t delete this game otherwise have fun paying to get all the characters. It’s a free game so I expect ads and a bunch of micro transactions but... it’s unplayable every round an ad, every time you finish you watch an ad if you want the chest, want a second chance an ad want to “finish him” an ad, it is filled to the maximum with ads to the point it gets annoying. See it’s unfair because a match can last you at most 1 minute even less, thus your playing for let’s say 30 seconds a game an the rest of the time you are watching ads 1 minute ads it becomes rather a slow repetitive the progression system is nonexistent you have to watch ads for the chest to even get a chance at coins. 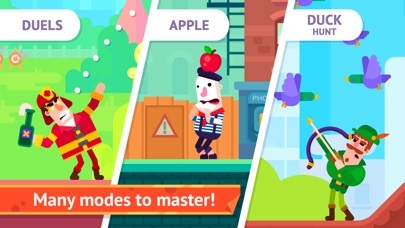 It’s a very creative fun game at the core with interesting characters but does it have to be flooded with ads, an ad every two every three games will be understandable and in my opinion a more flexible thing to work around. It’s no bad game at all I just believe the fun is limited by the amount of ads each round includes so if your looking for a minute of fun or entertainment this is it but it soon becomes a chore to play. The concept, although not original, makes for a pretty fun bit of gameplay for a few hours or so. 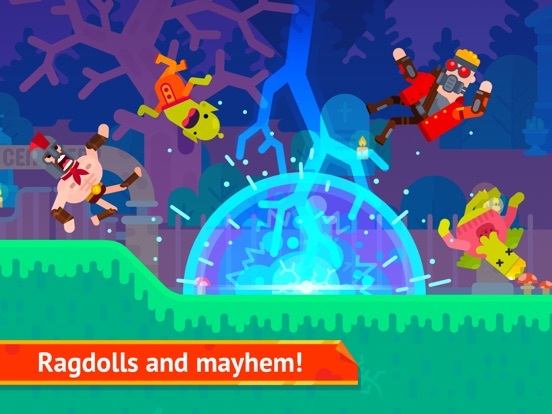 However, I recommend you avoid this game and games like these like the plague due to the business practices of the companies who develop them. If you assume in that a typical AI match in the game lasts about a minute, you will find that you will spend more time watching ads than actually playing this game. There is a guaranteed 30 sec ad after every match. There is another ad if you want to get the full reward for your match. 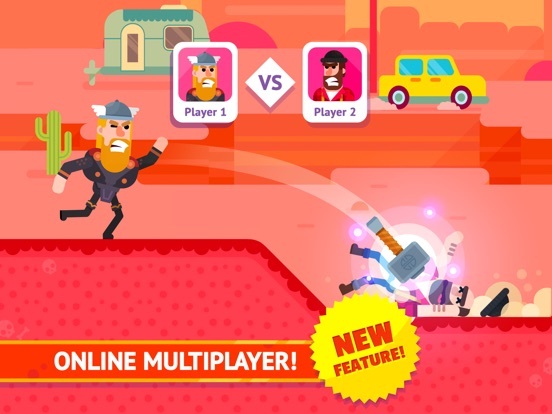 There are banner ads during gameplay. There are even guaranteed 30s ads when you open and close the options menu. In addition to this, which is unacceptable in and of itself, the game constantly tries to shove in app purchases in your face. Some characters, who only slightly change gameplay, cost up to $10. I'm sorry that the developers had to put their name on a good game that was marred by the money grubbing pricks who own whatever company that produced this bloated mess. If you spend a single cent on this game, you're contributing to this kind of unacceptable behavior from developers. Concept of the game is simple and fun. I'm not asking for completely wiping off all ads because I understand they want to push for more people to buy their add free option. However I am not a person that will pay to remove ads to play a repetitive and simple game. Again, the game itself is fun but lacks varying ranges to make finding angles easy. At 100% power the angles needed on targets only vary from 9-25 degrees. But I uninstalled this game because after any screen change, there is a 30 second ad. What's even worse is in online pvp, many people will leave the match as soon as they realize they have no chance to win. Now normally if you win and a opponent stays, you still have ads however I think if they removed ads after a player leaves early would help to not frustrate non-premium payers. Maybe its just a cash grab like every other game but the amount of ads outweighs the amount of time actually in games. I'm here to play games, not watch ads to generate money for someone. Attention! I love Bowmasters but there’s a problem. I can not play anymore resulting to the app shutting down every time I log in. Which is why I give it three stars. I’m not a hater of this wonderful amazingly outstanding game but I’d like to play it again without me logging out of the app right away😐. So please make a bug fix update and I hate to say it... But if that doesn’t happen due to the problem on my iPad with the ya,e I’ll be forced to delete it and make a 1 star review. Adds are not bad but I wish we can get Every character but the special ones you have to get tickets which you get every time you win a tournament and 55 tickets gets you a roll on let’s make it a gum ball machine but no gum balls. The amount of tickets you get for the tournament is how much headshots and that other stuff you got. The max to get is the amount to get a roll on the machine, but you would have to get like 2 headshots every battle. Please us this idea. Thanks you to anyone who read this and I wish you a good day😁. Was fun once upon a time.. This game used to be fun before all the recent updates. I played this game a few months ago and it was fun while it lasted but deleted for space. I recently re-downloaded, and I feel as if these recent updates have ruined the game. This is what I was thinking the whole time I was playing. There are way more ads than before. I use to be able to open my chest without having to watch a video every single time I win a game. Not anymore, I have to watch an ad after every game if I want to get my hard earned reward. There’s even an option to watch an ad to get another chance to “finish” your opponent. Certain characters such as the lumberjack guy and the octopus guy that you were able to buy with coins, more specifically 7000 are no longer available to buy because of this new Diamond Membership thing, which is a totally rip off. No one in the right mind is going to pay $7.99 a month for this game. I doubt anyone will read this comment. I know for sure playgendary won’t because they don’t care and are just money-hungry. This is a great game. Everything is structured nicely, and it’s pretty fun. One thing U thought of is that, “Why do you have to pay diamonds to get upgraded characters?” J thought of special events that could give you shards for characters and once you get enough shards, you could upgrade your characters. It’s just an idea. Also, you should make an upgrade for Dr. Sick called Marty, who shoots portals (which basically does the same thing as tanithmetil’s special) and another upgrade called “Catness, Archer” who is the upgrade to the Hunger Girl. She can fire the arrow but instead of splitting into 3 it could split into 6. She has the same clothes, but cat ears and a cat nose. Also, maybe you could add event modes where players team up to take down a boss with lost of health. Like a raid boss in Pokémon. Those are just some ideas I came up with and I hope to see in the game. It’s a good game, I just would like to see those happen. Great game! Not too many ads either! 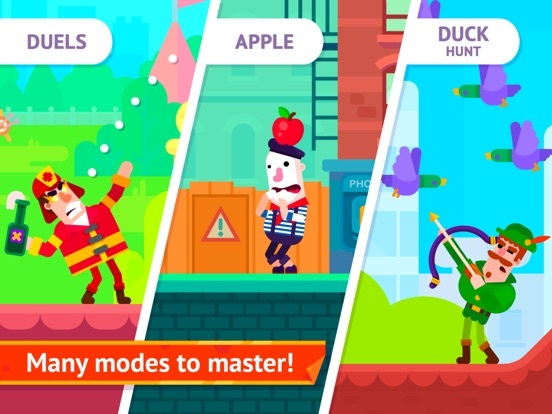 Bowmasters is a fun and addictive strategy game in which you have to launch/shoot/throw a random assortment of weapons with an amazing and funny roster of characters to choose from! You can play online or local multiplayer, so the game never gets old! Plus lots of other modes! Those were my pros! Now let's get to my cons! I do not thing there was need for that whole membership thing because this isn't a free to play game on Steam or some kind of free MMO! If a mobile game is popular enough it can get enough money for ads! Bowmasters is popular enough and gets lots of ad revenue! So I don't think there is a need for all of this! But that is not a huge issue because unlike Club Penguin Island you don't need membership to be successful in the game!! So it's not an issue because all it adds is some new characters and other random things! So I really enjoy this game and I give it a 4.5/5 Thank you for reading and make sure to download this game!!! This used to be a good game but now it just kinda gets old. Ok I’m kidding this company really only cares about themselves they keep offering you diamond membership and let me just say one thing to the devs. NO ONE, and I repeat NO ONE wants your diamond membership. This membership is so over priced I could get a game on the App Store that’s actually good. 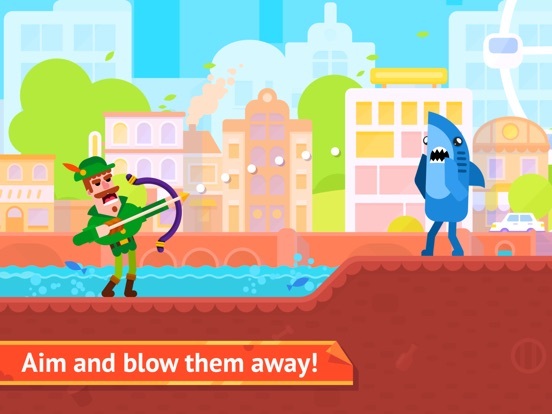 I got kick the buddy the other day and let me tell you, most of the ads on kick the buddy are about bowmasters *this game* OH.....MY.......GOD I can’t tell you how many times I’ve seen that stupid ad that shows one of the characters doing the floss. This company thinks they can draw in people and take their money by using as that look cool but are really just Playgendary saying “Look , we can scam by making our ads basically just Fortnite ads. This company thinks they are epic games and think that they are the coolest most popular company science they use fortnite like content in their ads. Again, this company clearly doesn’t care about its customers and only about profits. Dont be fooled by this scummy and lying company. I think it would be the best for the game if you had a version for instead of staying still and shooting, a mode where you run at them and shoot and for the lumberjack, a combo like a kick kick headbutt impale move. That is my feedback. Please put in consideration. I have one character design though. For Mr. Gorskiy, he could launch himself in to the air, you could move him, and then you would have to press a button that popped up randomly on the screen, and the skin would be a small disc on the left arm, and a purple jumpsuit. When the chance comes, the disc would glow, and you would have to touch it with in 10 seconds and you would be able to use the move I stated earlier in this paragraph. It would be the same amount of damage that you have had in Fatalities. It could only be unlocked in the mode I stated earlier in the paragraph. That is all for this review. Thank you! Ok creators or creater of bow masters this game does not need a subscription and now every time I try and do something in this game I hit with a ad go to settings, ad leave settings ad start a game ad finish a game ad look the screen for more than five seconds ad ok that one was a joke but really do I need a ad every freaking I do something FIX THIS AD THING OR GET RID OF SUBSCRIPTIONS THIS IS DUMB! Ok now that's out of the my other problem you now are blocking characters from the player OH but if you get a subscription oh look there's that word again wait wait wait I know how to fix this game GET RID OF THIS SUBSCRIPTION! Now why two stars if I only hate one thing in this game well this game would have five stars if it weren't for this dumb SUBSCRIPTION yea I hate this thing get rid of it NOW!!!!!! Dumb Subscription you broke This great game and not no I will go get the subscription I will wait tell you get rid of it to start playing this game! Holy cow, game play is somewhat ok, the reason this is getting only 1 star is the ADS!! You can’t even go into options without getting and ad!! I’ve never played a game like that before. Also, the gameplay is actually fun but there’s a few errors I don’t like. First and foremost; the playing field is uneven and unfair for 1 player. If you happen to be behind a hill (it’s completely random) you can’t hit your enemy!! You have to angel it at 80 degrees+ and have to get it just perfect or you miss, compared to the normal 15ish degrees and hit in a general area. The other bothersome error I don’t appreciate is having to scroll all the way to your character before every game. I decided to choose the character all the way in the back, and now have to take 10 seconds to scroll all the way to him. Now you may think 10 seconds isn’t too bad, but after just 6 games I’ve wasted a minute solely just getting to the character I want to use. The game is great, so if you guys start fixing these, I’ll give some stars back depending on how much and how well the game is fixed. Just atrocious! For an otherwise moderately entertaining game (if for no other reason than the variety of characters), being forced to endure a 30 second ad after EVERY single match you play is just too much..... You're even obliged to endure a 30 second ad EACH time you navigate into/out of the settings and menu items, which is, in and of itself, unacceptable.....SERIOUSLY.....the settings menu?!?!?..... It is glaringly obvious they attempt to frustrate even the most patient of individuals into forking over their money out of pure unadulterated annoyance....Sure, most other apps take a generally similar approach, but at least they make even the slightest attempt to come across as if they are simply enticing you to pay for the convenience of ad removal and are not bullying you into forking over your money so you can end the continual and relentless assault of non-stop ads..... There is, of course a happy medium to everything, unfortunately no one seems to have apprised the people who manage this app of that particular fact. They make IRS tax collectors look mellow and apathetic. I’ve been seeing a lot of ads of this game and every time I see one I get more tempted to get the game. Then when I see “Ninja” the Fortnite streamer in the game, I decided to try it. I am disappointed of this character not in the game but is included in ads. Next time when you use ads, don’t use false advertisement to draw people in and, the fact that you used the Fortnite items, ideas, and the famous streamer “Ninja” is copyright if not given credit to “Epic games” which was not mentioned in the ad, maybe next time give credit, don’t use false advertisement, and don’t use to bloody and/or gory scenes in the ads, kids could be seeing the ads and that is not appropriate for some of their ages, and if your going to complain about kids that aren’t supposed to have phones at their age then remember that sometimes kids use their parents phone for Yt, games, etc... What I’m saying is, don’t use false, bloody, snd copywriter add. If you read till here, u are officially 1.1% smarter than you already were ( ; 3 ; ) 👍. This Game is Super Fun!! When I first discovered Bowmasters, I was immediately intrigued by the style of of artwork regarding its characters and worlds. It reminded me of when you walk inside of Dunkin Donuts and they have the wall murals regarding their “the world runs on Dunkin” slogan, and I really like that style of animation. 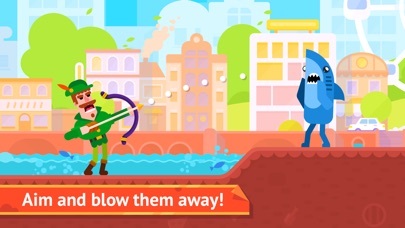 In all the time I have played Bowmasters, I’ve loved unlocking new characters with their own unique personalities and quirky weapons, and I love the famous pop culture references scattered throughout - everything from Arnold Schwarzenegger’s Terminator to Bram Stoker’s Dracula to Walter White from “Breaking Bad” are in this game, and so much more. My only complaint are the constant ads that pop up after every single battle, which can quickly get aggravating, and you have to pay money just for them to go away. Other than that, I really enjoy this game to kill the time (pun intended). The good: this game is easy to learn and fun to play, and involves a TON of graphic cartoon violence. 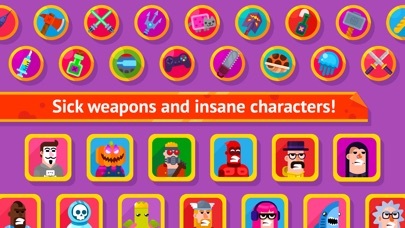 The characters are absurdly funny parodies of pop culture characters, each with a unique (and funny) weapon. The bad? There are so many ads it’s actually comical - it almost adds to the absurdity of the game. Here’s how a typical game goes: Let’s play Bowmasters! Before we begin, let’s watch this quick little video - ok, now let’s play...Congratulations, you won! Let’s watch this video to celebrate your victory! (Or, alternatively, Sorry you lost - here, watch this video to cheer you up!) Great, now let’s watch this video to collect your prize...nice prize! Would you like to watch this video to double it? Good job! 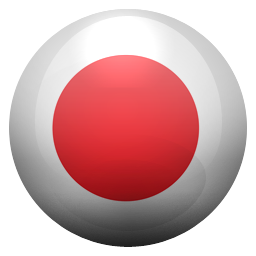 Hey, you’re daily prize is available - let’s watch this video to claim it. Would you like to watch a video to claim tomorrow’s prize early? Alright! Thanks for playing - here’s a video for you to show our appreciation. I used to play this game a lot and it was plenty of fun to collect characters and fight it out, but ever since they added the diamond membership it’s just not the same. I wouldn’t mind paying 8 dollars as a one time purchase or maybe even monthly but WEEKLY is insane. I don’t believe that it is worth it at all even for the 14 characters, there simply isn’t enough to get from it. Also the diamond membership pretty much takes away 14 characters from the game for people who don’t have it like me. There’s no other way to get these characters and some I really liked, like Terrance and others. I feel like the membership stuff has made the game less enjoyable for me because good characters are unusable, I mean if your gonna make a over priced membership and make it necessary to have the membership to get characters at least make the characters available some other way like in a chest or something. Dear Playgendary, I was wondering if you could add some new video game console characters but change their names and looks a bit like you do with most of the characters for example, you can add Sans from Undertale, Sonic from The Sonic Series, Crash from The Crash Bandicoot Series, and Rayman from the Rayman Series. Then, you could add some new marvel characters like, Spider-Man, Black Panther, Groot, Rocket Raccoon, and Thanos. 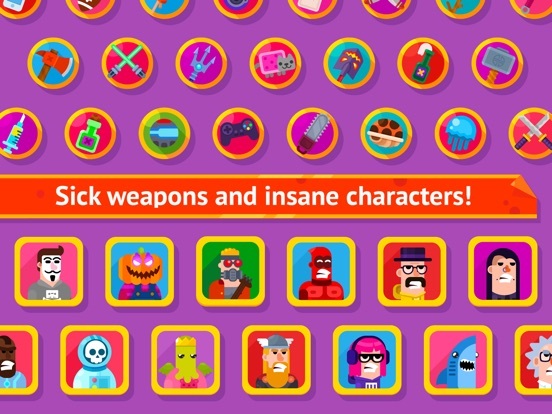 Lastly, you could add some Retro arcade characters like, Dig Dug, Pac-Man, and Excite Bike. In conclusion, I hope you add some of these suggestions as characters in the game I would really appreciate it. Also, I understand if some of these characters can not make it into the game because of either the flow of the game, Designing, or The character is just not functional for the game. But thank you anyway and I thank you for taking your time and reading this. Thank you! This game is really fun and yeah there r ads but they r not that bad! Most of them r really short and if they r not short u can usually skip them. I know u can’t skip the rewards ads but they r usually mini games which is how I got this game! If u don’t want to see ads why did u even get this game in the first place not expecting to see them? Even if you seriously can’t stand them u can always buy the 2.99 pack which does get u some pretty good characters. If u think poorly of the game just delete it and move on don’t complain through hate reviews, that means someone might not get the app and be able to enjoy a fun new game! No I am not a robot just writing a good review to help the game. I am just a 12 yr old who is tired of the hate! So there u saw my opinion, I know u probably don’t care about it but here it is anyway so bye! That there should be more characters, first. Like maybe a super schooler, and her weapon is math books? Or maybe a baseball boy with a baseball bat as his weapon? Next, I think the aviators should cost less, or you should get more coins for each "epic win!" Also, I think you shouldn't have to watch as many ads... or at least get more rewards for them. And, it is a really good game, but I think you should have more updates, kind of like minecraft, and fix all the bugs and add some things that we suggest. Now, after all those suggestions I said, I want to say how amazing this game would is. All of my family is addicted to it! My dad, brother, and me! I also want to say how cool the aviators are, how CREATIVE this game is... I mean, it is amazing, I love it!!! So, now to all of those who are thinking about getting this game, stop thinking! Just gat it NOW!!!!! HEADSHOT!!!!! That is all me and my daughter would like to say but we have a few things we’d like to mention in our review. Epic, 5 out of 5 stars. hopefully the dev(s) uses the ad money to add more/implement more features into the game and I think a paid mode, or even a full on Triple A style 3D version should take care of revenue and hopefully this version will phase out the need for so many adds. Btw, a high quality 3D version with tons of characters, maybe special moves and tons of weapons/weapon & character customization would make this a CULT CLASSIC and a brand new venture for those of us who enjoy streaming/playing competitive e-sports games against others. All in all, don’t let this be the final version, make this a blue print for a BETTER, BIGGER, CRAZIER GAME cuz I’m 26, my daughter is 8 and it’s something we both have a BLAST playing. Great work, keep it up. I have been playing this game for a very long time now. I have seen a lot of change with the game and this update is one of those. In my opinion, the free characters with the offers is great and all, but what happened to buying with gold? I have an overflowing amount of gold I haven't been able to use for a long time. I do not like the purchase only characters. Jeremy is really overpowered, but I never actually got to use it, and I'll never be able to now, because a thing I liked about this game was that you could get anything with time and effort, (and I'm not paying for it) but now it's just pay to win in my eyes. Another feature I find annoying about the update is that you actually need Internet to get your daily reward now, which wasn't required before. Game STILL lags and crashes connected to the Internet. (iPad Air 2) I think the game needs some GOOD change, and the pay to win thing should just go. I think this is a great game. I have downloaded it a few times on and off. I think it is a great game but there are a few things that kind of ruin the game. First off there are a few to many adds and the fact that after winning a match you only make about 300 coins and then you have to watch an ad to open a chest that you worked for is kind of disappointing. Another thing is that the price of upgrading the very few players that can be upgraded is very expensive. The cheapest upgrade that is in the game is 50 gems and that upgrade has little affect on the player. The things that made me really mad was the fact that I can’t play anymore. I come into the game and it says that I have won 24 gems so I press okay and it says that there has been an error so I try to leave and it says that I can’t leave without collecting my reward. I have been trying on and off for the past two days and it still says that there has been error and it won’t let me leave. Other then these few things it is a pretty decent game. New characters maybe a game mode? New game modes would be cool. Or maybe outfits for the characters available. Possibly new weapons for them? That way we can alternate there weapons before a match. Maybe make a spongebob character that throws crabby paddies or spatula. Or his pet gary. Or like spawn or chsracters from dc or marvel? Maybe capcom characters like megaman. Scoobydoo characters, pokemon, dragonball z, or toon characters for the kids. I know my son and other kids would love that. Oh also supersmash characters too. Well hope this helps! 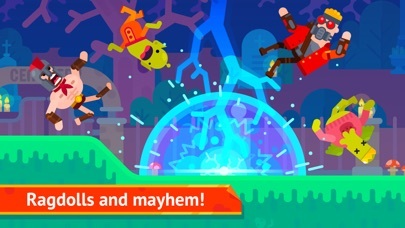 Game modes can include three players or more against each other or mix the bird shooting with 1v1 where the birds can get in the way of arrows. But game modes should be added to get the game fresh and ppl playing because despite the fun it can get boring due to the activities being limited. Anyway great game been waiting for a fun arrow game!! It’s concerning when the highlighted review for the app has to try and defend the sheer number of ads this game has, and for good reason. After practically everything you do in the game, there’s and ad, and unlike what some reviews are saying, they’re unskippable. I’ve never seen a game where you have to watch an ad after closing the setting menu - just ridiculous. The game is amusing, but simplistic. How about adding wind as a variable like practically every other game of this type? No? Ah, just a moneygrab then, huh? The game itself is really buggy, on older devices, too. When starting a round, your opponent doesn’t show up on the screen right away, and if you don’t wait until they do, your first shot may pass straight through where they are supposedly standing. Characters also don’t show in the main menu sometimes. I’m on a 6 plus which is admittedly out of date, but I run games that are way more graphics-intensive than this with no issues. What a disappointment, especially since I really like this type of game. This game was one of the best until the last update. They added a subscription package which through the games dynamic off a lot. Before you could obtain characters by inviting friends, following social media or straight up purchasing them, also you could buy them with the in game coins. There also was a chance to win the characters in chests. By having it set up this way it made me play more and try to get all the characters buy chest, coins or buying them. Now with the subscription pass there are characters that you can no longer get that we obtainable before. I understand they need to make money to continue the game but just add more Characters to buy. Who is going to pay monthly for some characters in game coins and gems? Last I see a lot of people complain about the adds, yes they are bad but you can skip most of them, the game itself is so fun I was able to look past them. 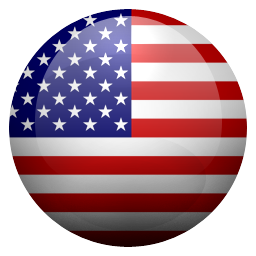 The game is fairly entertaining and is a fine time waster. There are quite a bit of ads. Mainly wrote this review to point out an annoying problem I've been having with it. Sometimes when you hit someone into a corner or when someone's projectile hits the ground it will occasionally not end the turn for a bit. I've had a few occurrences now where I'd hit someone against a corner at a strange angle, I guess they were continuously 'sliding' even when it seemed like they stopped moving. Same for some projectiles that don't explode or stick right into the ground on impact. Right now as I'm writing this, I was siting through a firework arrow projectile just sitting on the ground. Took well over half a minute for it to finally end the turn. It just sat there fizzing. Pretty annoying. Please make the turns have a time limit after doing an action to return to position. Thanks. Awesome Game! Play it Everyday! In the ad for the game it shows you being able to scan your face and it putting that Pearson in to the game but no. You can’t scan your face witch is super upsetting. Ok so you are probably thinking that this is not a good review and you should not listen to me and stuff because I can’t spell but hey I am trying my best. So any way I downloaded this game on my phone and iPad and still you can’t scan your face. Also there are so many ads I can’t believe it. It is so annoying when i am trying to play a game and bam an ad. The last thing is that if you want to get any people witch by the way they are taking from tv shows movies and other video games and giving weird names, you have to pay money or you can try to get one from the chest thing, but even if you win or buy someone later I the game game they disappear and you can no longer use them and you have to pay money to get them, AGAIN!!!! OMG I love this game so much! Here are my ideas for new characters! For the background, you should do an amusement park background or a Creepy or peaceful background for the upcoming season of Christmas 🎄 and Halloween 🎃! Then the characters should be a king with all gold on him and his weapon could be a mythical sword with some gold!Then for the next character you should put Superman that has a Cape made out of metal for his weapon! Then have a savage disco girl that has bloody knives around the disco ball and you can control it violently fast using a gaming controller. Then you should have a swag dolphin with a red king cape and has an under water waterfall as it’s shield and also it has a trident with sea stars and shells! Maybe spongebob but it can have a spatula if you do make him! That’s all of my imagination looking forward to the new characters! This game is getting more and more worse than before. Before I don’t remember all these things about diamond membership and how you can’t get them at the chest wheel or with diamonds or coins. Honestly I think now the people who make this game are getting more greedy and not letting us have a slight chance to get this amazing characters. I feel like if that was gone more people will enjoy this game and more people will play this game. Also, even if they keep this new diamond membership it is over priced. This is a phone game and they are charging us $8 PER WEEK, $20 PER MONTH, and $100 PER YEAR. NOW, THAT IS OVER PRICING AND THAT IS MORE THAT A XBOX LIVE OR EVEN A GAME THAT IS PRE ORDERED FOR A PC OR XBOX OR PS4 IS LESS EXPENSIVE . This is a game I never want to hear or see again. I loved this game, but when this happened it went from number one game to like 100th game of the world. These are my reasons why this game creators are greedy for money and don’t want nothing else, but it. Also, it’s why this is the worst game I came over. There should be a way to add friends right after a fight.. rather than go straight to an add. 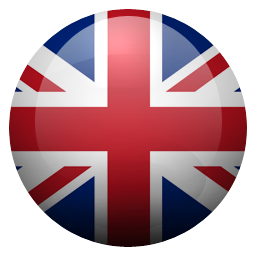 There should be chat packs with words .. phrases like "nice try" or "good luck" rather than laughing and being scared. 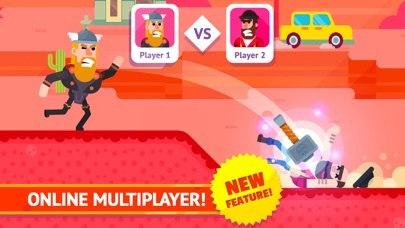 Offer more challenges other than bird hunt and apple.. maybe you can replace 2 player since you are practically able to play by yourself and control each character. This game is fun for unlocking characters... ut all characters should have an option to buy with coins even if it has to be 20k for the specific character. This way we are able to use all the coins we win instead of having them pile up for no use. There should be a way to alert when friends are online! Make the game more social... i am getting bored!